Simon Pures “Murderer’s Row,” 1941. 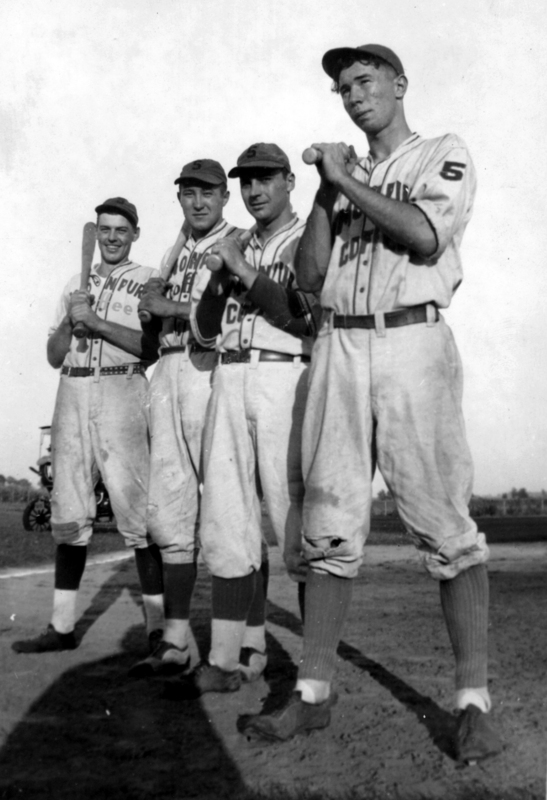 George DeVoe, Verne Hackbart, Fred Zeich, Cy Klubertanz. Photo courtesy of Joan Steffen. Let’s welcome Spring by talking baseball in Madison: Madison Blues, Industrial Baseball League, Home Talent League and MSCR teams, as well as the legendary Breese Stevens Field. If you love local history and sports lore, you’ll love this program. Bring your memorabilia! Security State Bank in the 1950s. 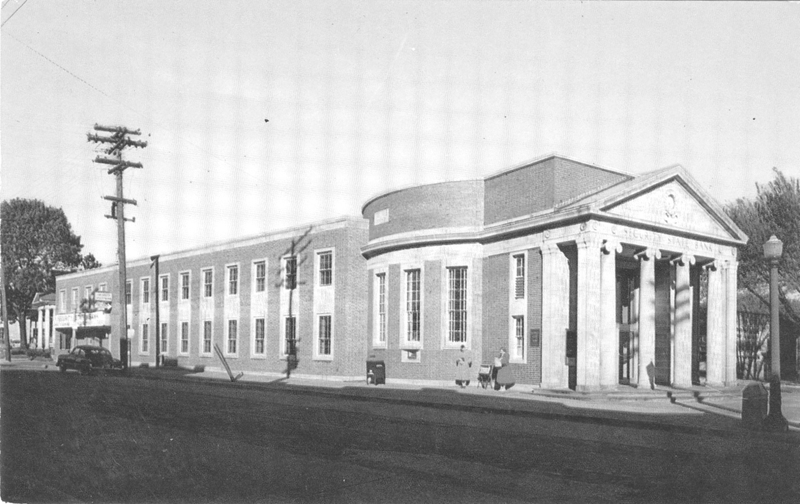 In 1923 Security State Bank moved to its elegant new Georgian Revival-style building at the corner of Atwood Avenue and Winnebago Street. Several banks later, we welcome Monona State Bank to the neighborhood. Let’s help them identify the employees in the pictures they inherited, and learn more about the original Security State Bank and Evergreen Savings & Loan and their influence on the community.